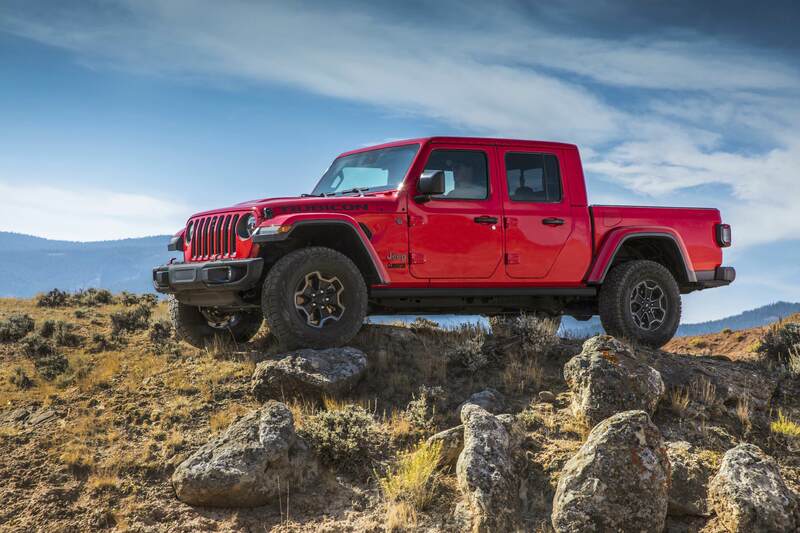 There’s a new heavy-duty pick-up truck ready to take the US market by storm – the Jeep Gladiator. 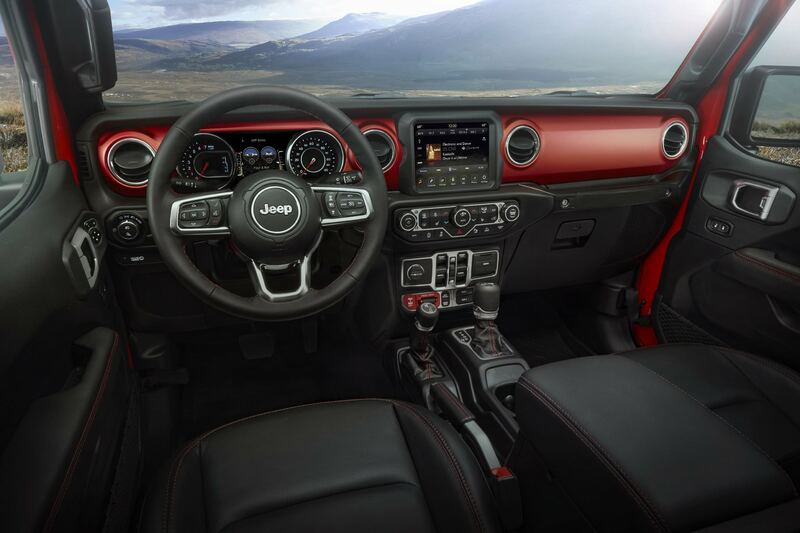 Based on the Wrangler, the Gladiator uses a similar four-door design, but is 787mm longer than its stablemate. In addition to its off-roading capabilities, thanks to an 11.1″ ground clearance, heavy-duty Dana axles, and a FOX suspension, it can traverse waters up to 30″ deep. However, it’s not just a fun recreation vehicle, as it can also haul up to 1,600 pounds, tow up to 7,650 pounds, and is loaded with modern technology inside the cabin. At launch, the base model will come equipped with a 3.6-liter V6 Pentastar engine producing 285 hp and 260 lb-ft of torque, mated to either a six-speed manual or eight-speed automatic gearbox. Read more for another video, additional pictures and information. The Gladiator can also be optioned with a fixed hard-top roof or a removable top in either aluminum or canvas, while a fold-down windscreen is for those who fancy convertibles. Inside, there’s a fourth-generation ‘Uconnect’ infotainment system with Android Auto and Apple CarPlay support on a choice of 7″ or 8.4″ displays, while Rubicon models get a forward-facing camera for better visibility. Two USB ports and a USB-C port up front and two in reach of occupants in the back seat connect to the media center for smartphone / tablet / laptop charging. A 115-volt AC outlet is available to power select three-pronged home electronics. 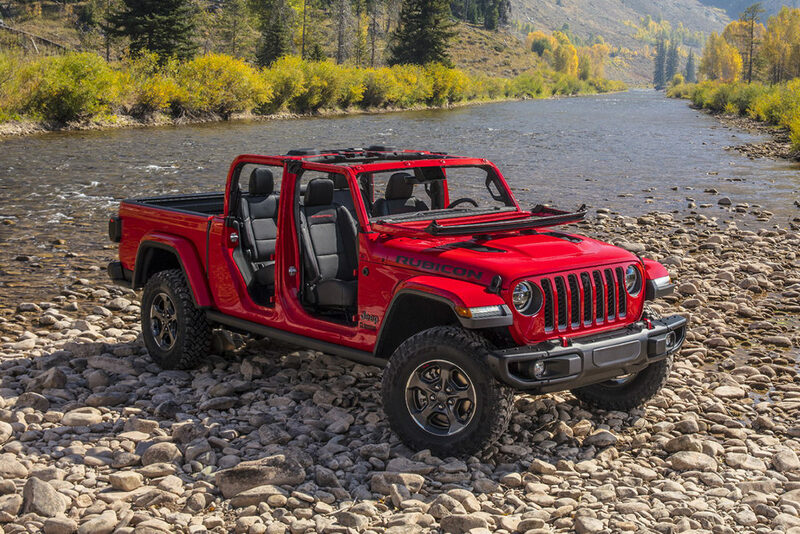 “Unquestionably a truck and instantly recognizable as a Jeep, the all-new 2020 Gladiator is the ultimate vehicle for any outdoor adventure. 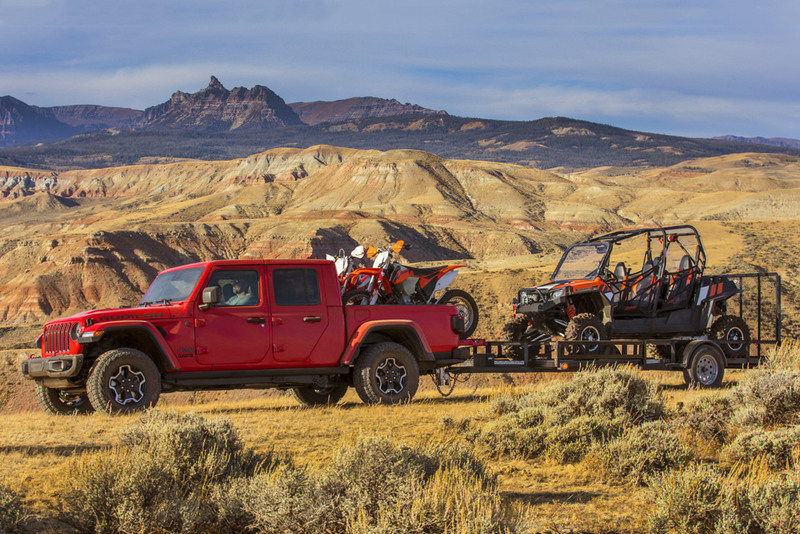 There is tremendous demand for this unique vehicle from our loyal Jeep customers and pickup truck buyers everywhere. 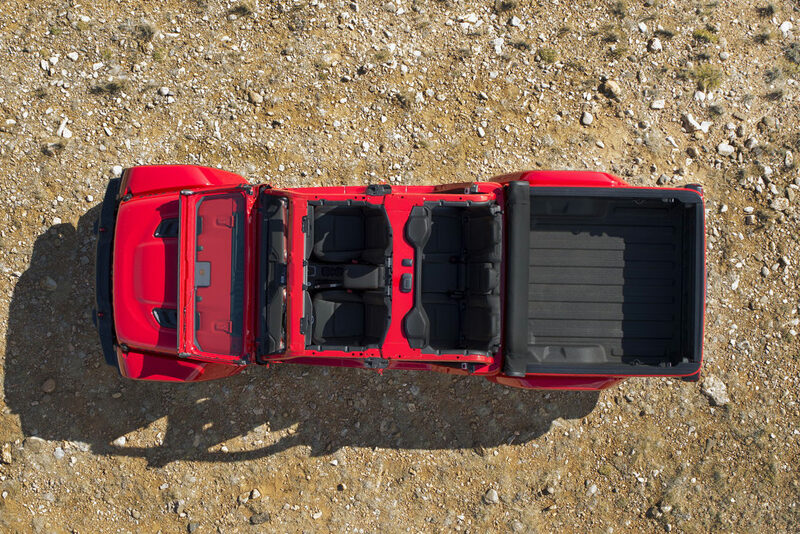 Born from a rich and proud heritage of tough, dependable Jeep trucks, Gladiator combines rugged utility, versatility and functionality resulting in the most capable midsize truck ever,” said Tim Kuniskis, Head of Jeep Brand – North America.